On Western Australia’s South Coast where the Southern Ocean has sculpted a raw and dramatic coastline; on the eastern edge of the Porongurup Range National Park, lies a tiny vineyard. A true hidden gem of the Great Southern wine region. This is our Kalgan River vineyard. A place James Halliday describes as a “mighty mouse of a vineyard”, awarding it a 5-star rating. Its proximity to the Southern Ocean brings cooling summer breezes, slowing the ripening of the grapes and allowing for a long, cool, and even ripening period. These vines are dry-grown with root systems travelling deep into rocky soil beds, creating complex fruit with a unique expression of place. Terroir, natural climatic advantage and sensitive viticulture come together to work their magic in this place of beauty and potential. After it’s establishment in 2000, Bob and Marilyn Fowler purchased the estate in 2010 and created Willoughby Park. Since then, the Fowler family’s intention has been to create expressive wines that are true representations of the Great Southern wine region. Our premium fruit is treated with care throughout the winemaking process, with each step focusing on allowing the inherit varietal and regional characteristics to shine through. Hand-picked, estate-grown fruit is given the spotlight here. 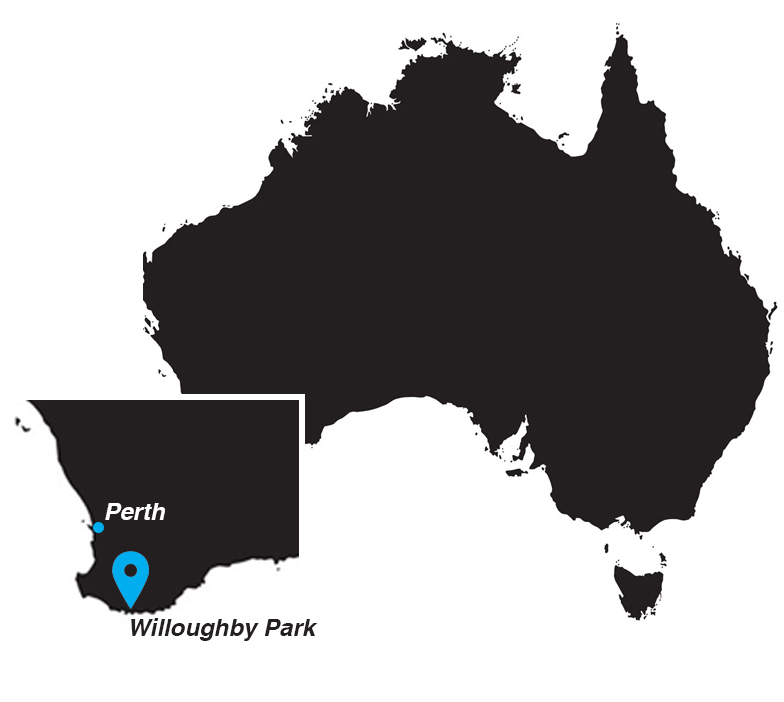 Alongside our highly regarded Kalgan River vineyard, we also work with professional wine growers in sub regions across the Great Southern for our Willoughby Park range. The Great Southern is the largest and most diverse wine region in Western Australia, and with this great multiplicity on our doorstep, our winemaking team are able to identify the most ideal locations to grow the varieties found in our Willoughby Park range. The varying soil types, altitudes and rainfalls of the region are all expertly taken advantage of. The Great Southern Wine Region is made up of five sub-regions – Denmark, Frankland River, Mount Barker, Porongurup and Albany. From sprawling agricultural lands, to unspoilt coastline, to towering forests and mountain ranges – we are incredibly lucky to call this spectacular corner of the world home."